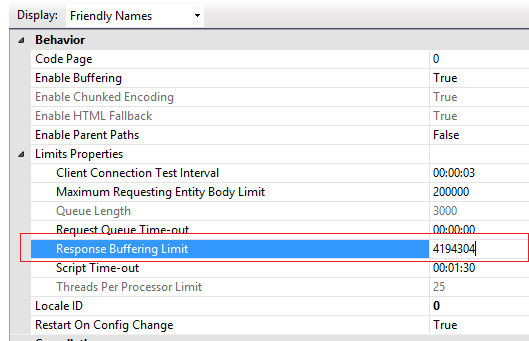 Here I will explain how to solve the problem of “HTTP 500 or response object error 'asp 0251 : 80004005' response buffer limit exceeded” in classic asp. This response buffer limit exceeded error will occur in asp whenever our resultant data exceeds default asp buffer size 4 MB. To solve this problem we need to increase asp buffer limit in iis or clear the asp buffer for every record once returned in classic asp. 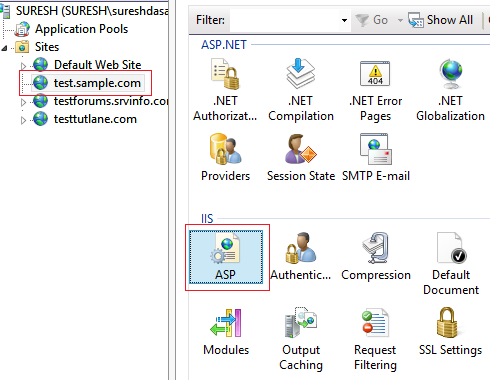 In previous posts I explained convert string to lower case, upper case and title case in asp.net, jQuery send receive json object from webservice methods, Asp.net mvc complete project with database, download multiple files as zip folder in asp.net and many articles relating to solve errors in asp.net, SQL Server, IIS, etc. Now I will explain how to solve the problem of “response object error 'asp 0251 : 80004005' response buffer limit exceeded” in classic asp.